Theater season is in the air! A couple weeks ago, I had the pleasure to hear from the Milwaukee Repertory Theater's Artistic Director, Mark Clements, as he welcomed new subscribers to the Quadracci Powerhouse. There are three stages at the Milwaukee Rep, the largest being the Powerhouse, followed by the intimate Stiemke Studio and the always-musical Stackner Cabaret Dinner Theater. 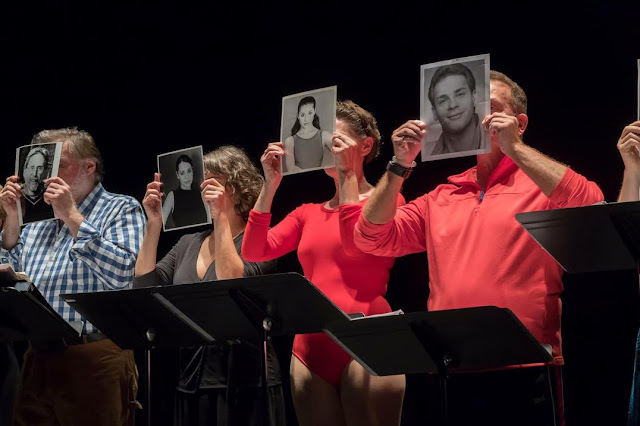 The three sizes and styles of space allow the Rep to stage a broad range of works, and that's what makes this company so very unique to the Milwaukee theater scene. Our group was also treated to a backstage tour, where we ogled prop rooms stacked with tupperware housing things like tinsel and embroidery. We saw the vast workroom where artists turn fresh slabs of wood into intricate, aged, character-filled pieces of scenery. As for the costume and wig shop, there's a strict "hands off!" policy. It's strange how hard it is to keep your digits to yourself when gorgeous period gowns and wigs worn by Deb Staples are just begging to be touched. Even so, my personal favorite space was the cast break room, which is also where they store a slew of chandeliers. Not a bad spot to take five backstage. This season at the Milwaukee Rep kicks off with a play on each of the theater's three stages. In the Cabaret, it's Souvenir — the story of Florence Foster Jenkins. Jenkins was an eccentric Manhattan socialite who loved to sing, but really shouldn't have. The Stiemke Studio starts its season with The Who and the What — a play by Pulitzer Prize-winner Ayad Akhtar, whose Disgraced and Invisible Hand have also been staged at the Rep. In the Quadracci Powerhouse, we'll all be toe-tapping to the Tony-winning Guys & Dolls when it opens on September 19th. They say this is the musical for people who claim they don't like musicals. The songs are catchy, there are show-stopping numbers, and it's such a classic story that even the hardest hearts can't argue with its greatness. I'll be there on opening night, probably grinning like an idiot. For information on all future Milwaukee Rep productions and to purchase tickets, visit milwaukeerep.com. Two local theater companies, one singular sensation! They say A Chorus Line is a ground-breaking spectacle, revitalizing the American musical in 1975 with its focus on an ensemble cast of characters inspired by the real lives of Broadway dancers. The show chronicles the ambitions, dreams, and daily struggles that befall any Broadway hopeful, and does so in a mix of dialogue, monologue, montages, and show-stoppers. The structure was, in 1975, revolutionary, and is no less revered by avid lovers of musical theater today. 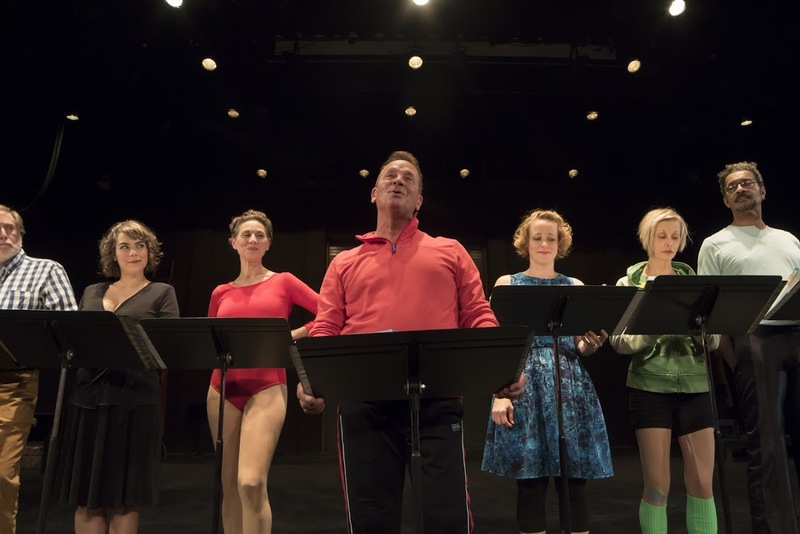 This weekend at Cardinal Stritch University, two Milwaukee theater companies are further revolutionizing this Broadway classic, adapting A Chorus Line to a concert format. With Milwaukee Opera Theatre's singer-centric art and commitment to reimagining classic and contemporary lyric theater, and Theater RED's dedication to roles for women and growth in craft for artists, their combined efforts are guaranteed to yield one singular sensation. As if the missions of these small-but-mighty companies weren't enough to pique interest, the cast boasts 100% local Milwaukee artists — and that really is something to brag about. Our city is teeming with such talent, and the performers assembled for A Chorus Line do so much more than keep local theater afloat — they truly make it soar. This weekend, for two nights only, take flight with some of Milwaukee's brightest stars. 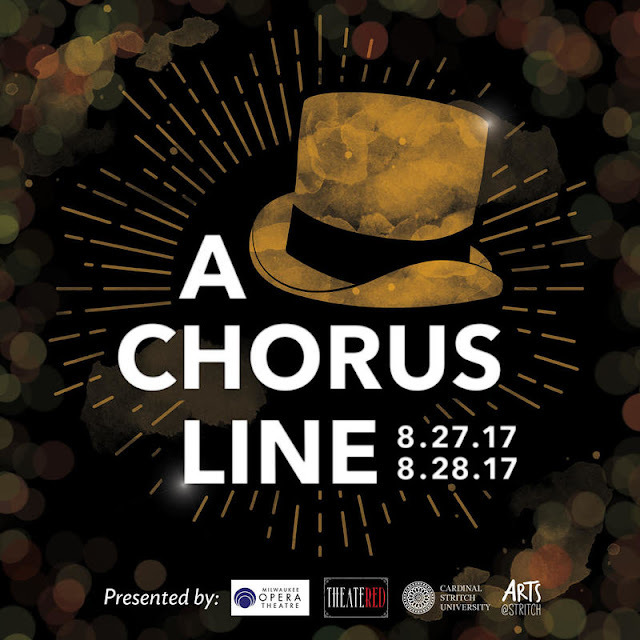 A Chorus Line is playing at Cardinal Stritch University, August 27 & 28, at 7:30 pm. Tickets here! Thank you Meijer, you beautiful big box store, you! Thank you for sponsoring the Milwaukee Art Museum's Free First Thursday. That is to say, the first Thursday of every — yes, every! — month, admission to the Milwaukee Art Museum is free — yes, free! And as with all Thursdays, the museum is also open until 8pm. How nice is that? If you take advantage of this September's Free First Thursday, it will be the last free night where you can see the highly-instagrammable works by Rashid Johnson in the exhibit Hail We Now Sing Joy. Per the Milwaukee Art Museum website: "Using his signature materials of white ceramic tile, red oak flooring, shea butter, black soap, and wax, Johnson examines themes of race, history, yearning, anxiety, and escape and investigates the relationship between art, society, and personal identity." Whew that's a lot. The motivation behind Johnson's work is certainly important. But even if you only have time to skate through this featured exhibition, it's entirely worthwhile. The star of the show is Antoine's Organ — the towering, show-stopping gridded sculpture, pulsing with hundreds of live plants, mounds of shea butter, audio-visual components, books, and a piano hidden within. At certain times, local musicians are scheduled to play said piano. It is, in a word, incredible. As is the fact that you can see this (until September 17th) and Milwaukee's entire stunning collection for free every first Thursday of the month. What are you waiting for? Mark your calendar! What I'm about to tell you is one of the best-kept Milwaukee secrets. Key word: secret. While I want to spread this bit of magic to those near and dear to me (if you're reading this, thanks for making being near and dear! ), the last thing we need is a swarm of hipsters taking over the Villa Terrace on Sunday mornings. 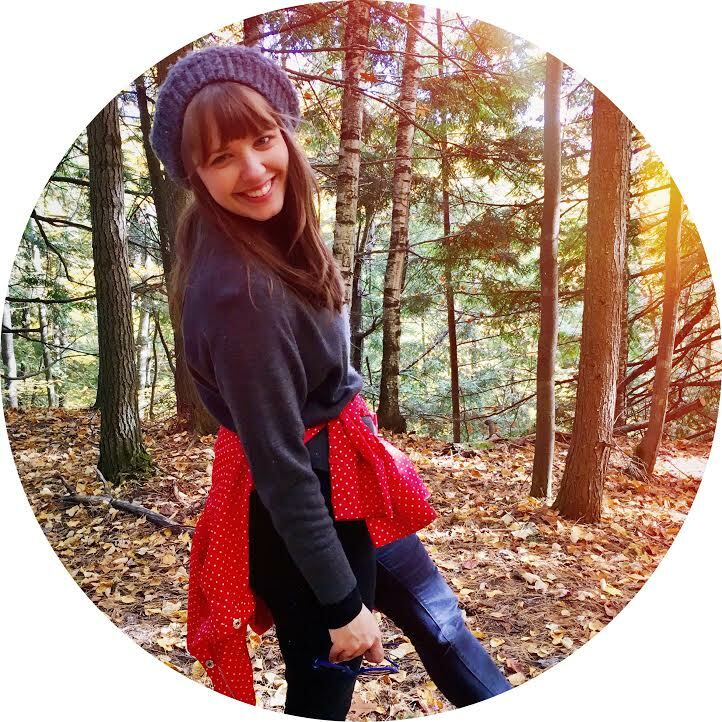 So if you can keep a secret and aren't part of a hipster swarm, read on. Sunday mornings in summer, Villa Terrace hosts Café Sopra Maré in the courtyard. From 10:00 to 12:30, the courtyard is open to the public, with live musical performances beginning at 10:30. The Villa invites folks to "listen to the music, read, visit with friends, or simply relax." How charming is that? When my friends and I bopped over around 11:00 last weekend, the courtyard was packed full of people — some chatting quietly, some reading their Sunday New York Times, and some drinking in the sunshine (parasols in hand) and live guitar and mandolin tunes. You can also drink coffee and tea from the Roast beverage table, or enjoy mimosas and bloody marys from the house bar. If you get there early enough, there are even fresh pastries available. Can you tour the museum and gardens during Café Sopra Maré? Yes, but it's not free. Tickets are $7. While we didn't have time to wander the museum on this first visit, I think it would be an entirely worthwhile experience on a beautiful summer day, when time allows. Live music continues at Villa Terrace every Sunday through the end of September, so finding a time to go back for more courtyard magic is indeed a must in my book. I hope those near and dear feel the same; like I said, it's one of Milwaukee's best-kept secrets. When my college girlfriends and I were in search of a unique Milwaukee activity for our bride Christina's mini bachelorette party, a private boat cruise down the Milwaukee River seemed like a solid plan. Now that our pontoon party has come and gone, I'm left with only one question: Why don't we do this more often? We rented the pontoon, which can fit up to 10 people, through Edelweiss — a choice we made because other companies only offer half- or full-day rentals on the weekends, and we sadly didn't have the time or money for such things. With Edelweiss, even on Saturdays and Sundays, you can rent for just two hours — and the price is certainly right when split between your captain and crew. I will say, however, that two hours flies by, and choosing a four-hour cruise would probably be worth it in the end. Still, this time we went for two hours, with Captain Lindsey at the helm. A bit about commandeering a pontoon boat: Edelweiss doesn't require any boating license, training, or previous experience — just a willing spirit. Lindsey said she hadn't driven a boat since she was a teenager, surely under the watchful eye of an adult. But after a one-minute lesson from an Edelweiss staffer, Linds drove our party down the river like a champ! I dare say if she can do it, anyone can — but staying sober is, of course, required. Speaking of sobriety, packing a picnic (complete with booze) for a pontoon boat ride is indeed a must! Our spread included a cheese plate, caprese skewers, quinoa salad, homemade bruschetta and guacamole, and lemon bars for dessert. Fritz made her signature margs and popped a bottle of champagne to toast the bride. We truly lucked out with perfect weather — not too hot, but not the slightest chill in the air. That said, I'd of course recommend that anyone cruising the river, especially if you brave Lake Michigan, pack layers. Better safe than sorry. And here's a logistical note: Make sure to arrive 15 to 20 minutes prior to your boat reservation time. Our rental lasted from 5:30 to 7:30, but it took some time to check in and be escorted to out pontoon. Giving yourself some wiggle room allows you to really maximize time spent on the water. End lecture. Now here's one final shout-out: Congrats to Christina, our beautiful bride-to-be! Thank you for giving us a reason to gather, sip champagne, and buy grass skirts and tiny men to adorn our cups. Celebrating your happiness is an absolute joy. As you once said: Cheers to makin' memories! At a birthday potluck earlier this July, my dear friend Kaitlyn showed up with a scrumptious tortellini pasta salad. We stood around the bowl, picking out the cheese-filled nuggets one at a time and wolfing them down — it was too addictive to wait for forks. Kait said the salad was so easy to make and such a crowd pleaser, she always doubles or triples the recipe. And she was right! Her doubled recipe was gone by the end of the birthday night. I wasted no time getting the recipe from her, and doubled the recipe myself for a party last weekend. Rave reviews? You better believe it. *This is a single recipe, sufficient for a family of 4–6. But for a bigger party, double it! 1. Cook the pasta and rinse thoroughly under cold water. Chop the spinach and onion and toss with feta in a large mixing bowl. 2. Follow the instructions on the Good Seasons package to make Italian dressing — the "less oil" version. You'll need: 1/4 cup vinegar (I used red wine vinegar), 1/4 cup olive oil, and water. 3. Toss everything together, but reserve 1/3 of the Italian dressing and lemon juice to mix in just before serving. Allow pasta to rest in the fridge for a few hours, or overnight. This is one of those recipes that it's okay to eyeball. I find that too much red onion can be overpowering, so I used only half of one. After letting the pasta sit in the fridge overnight, I added more feta and spinach, along with the 1/3 cup reserved dressing and lemon juice, just before serving to bring some freshness and moisture to the salad (which gets a bit congealed with time). This really is a foolproof recipe, and with how quickly and easily it comes together, it's easily going to be my new go-to pasta salad for parties.